Like me, many of you may have gotten your start on the eco-friendly path of life by learning about the dangers of conventional diapers and the chemicals, like chlorine, that they contain that can endanger your precious babies. Many older generations just remember the pins, cloths, and plastic covers that they may have used when they were young but thankfully most cloth diapers are SO MUCH easier to use these days!! And there is no better way to celebrate Earth Month by sharing a great eco-friendly cloth diaper company that has designed a cloth diaper that is SO EASY TO USE, is cute and is ORGANIC!!! That is all my favorite characteristics in ONE diaper! Smart Bottoms offers an organic cloth diapering system that is 100% made in the United States. Their high quality products are available at a reasonable price, so all families can provide the finest for their little ones. The Smart One 3.0 is an organic, one-size, AIO diaper. 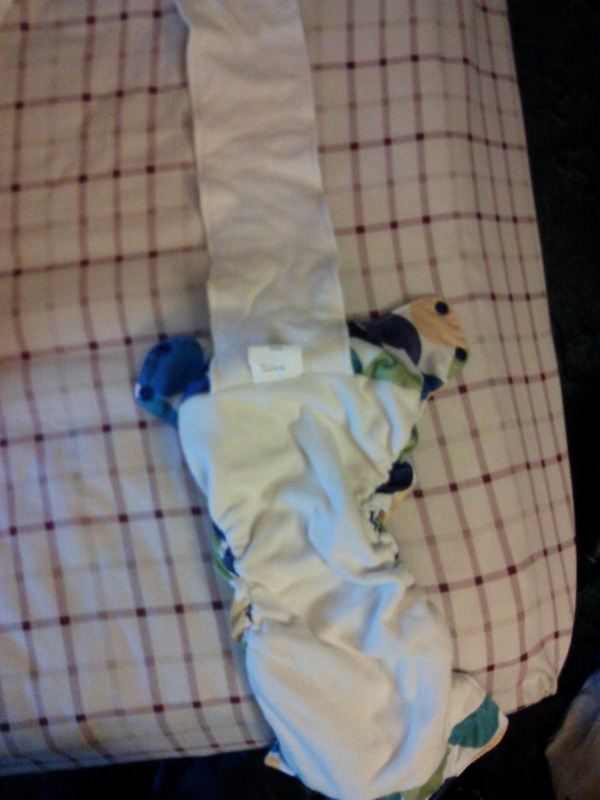 This diaper will fit babies 8lbs-35lbs. 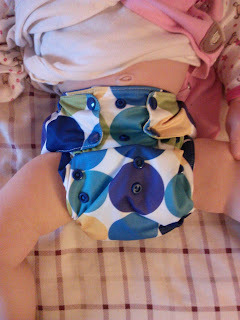 -100% Organic Cotton inner provides a trimmer, more absorbent diaper. 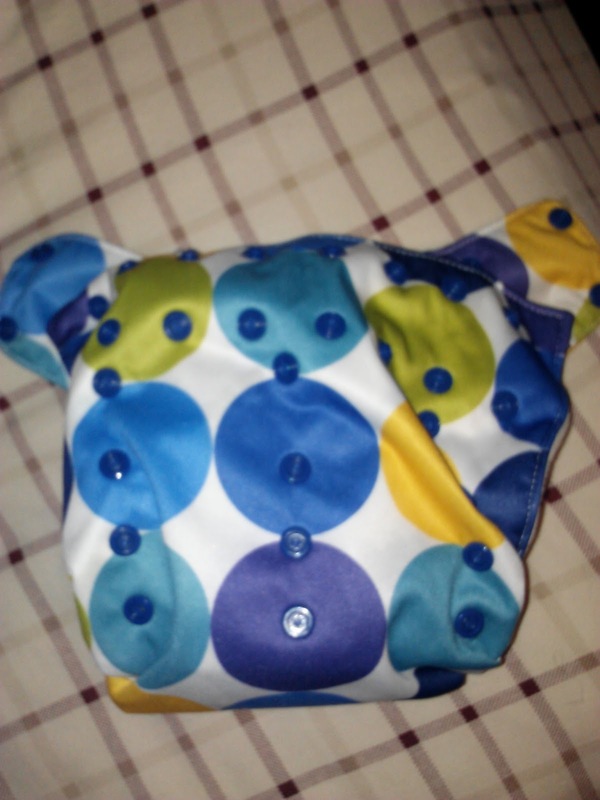 -Attached insert can be folded to customize where your child needs the most absorbency, a total of 10 layers! -Design allows for quick dry-time. Most machines will dry in one cycle on warm. -Four rise settings allow for a perfect fit from 8lbs-35lbs. -Wider elastic around the legs decreases chance for red marks. I think my favorite part of this diaper is the design! Instead of having both sides of the insert attached like some other popular all-in-one's, this diaper insert is only attached on one side which makes this diaper dry SO MUCH faster than my other AIO's. I really love that! Plus, you can fold it up wherever you need the most absorption for boys or girls! Smart Bottoms are available in six exciting colors with accent colored snaps and three new, fun prints. I really love the Little Boy Blue diaper I received from Smart Bottoms! It is gender neutral and fun! 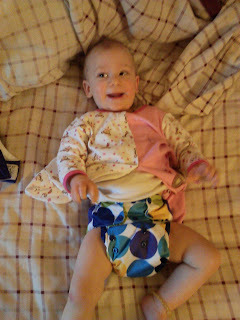 Plus, the trim design will fit under most clothing and I no longer have to pick her "big" outfits to fit over her cloth diaper when she is wearing the Smart One 3.0. 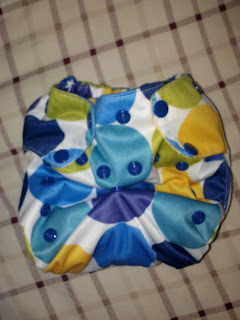 And I love that this one-size diaper can be used from birth until potty so I save SO MUCH MONEY! The snaps easily adjust as she grows! This diaper fit perfectly on my petite daughter and I didn't have any leaks! Most importantly, I LOVE that they use only 100% certified organic cotton inside their diapers so I know my daughter's skin will not be exposed to harmful pesticide residue or petroleum based fabrics. The natural fibers will reduce, if not eliminate diaper rashes as well as promote early potty learning and I never have to worry about her sensitive skin absorbing very harmful chemicals! 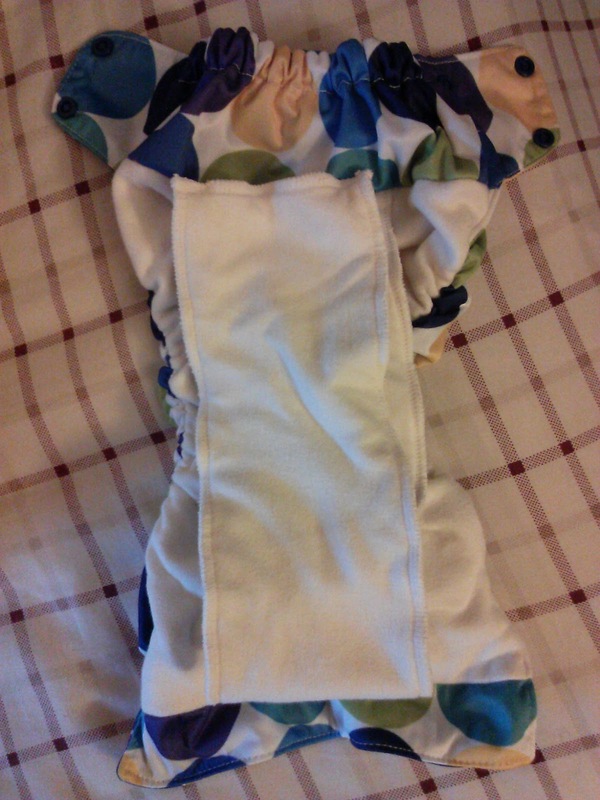 So, if you want an easy cloth diaper to try out to start your cloth diapering journey, I definitely recommend the Smart One 3.0. It is as easy to use as a disposable...BUT without all the harmful chemicals AND it grows with your child! You will save so much money! Buy It: You can purchase the Smart One 3.0 for $23 on the Smart Bottoms website. Win It: Smart Bottoms is generously offering (1) Smart One 3.0 cloth diaper (in winner's choice of color) to a lucky winner!